In a Magical Kingdom not so far away - somewhere between a place where you wish upon a star and dreams come true - Disney heroes and heroines live in fairytales that are, happily, never ending. 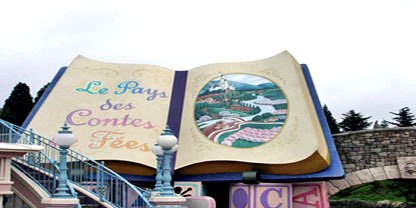 Experience your favourite Disney Lands just as you remember them from the classic Disney stories where fairytales really do come true. Big Thunder Mountain and Space Mountain Mission 2 offer big thrills for the grown-ups, while little ones can sail around the world at "it's a small world". 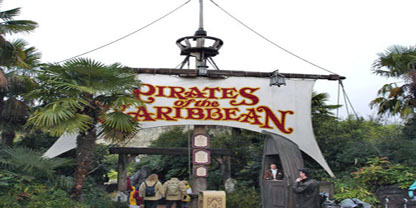 Of course, family fun can be found in every corner of the Park, from "Pirates of the Caribbean" to the "Mad Hatter's Tea Cups".Don't miss the main attraction; a Meet'n'Greet with beloved Disney Characters. Cameras at the ready!On top of all the wonderful attractions and characters, there are lots of spectacular family parades and shows to enjoy all year round. Discover the different sides of Paris with AllParisGuide.com . Tips and full of Information relating the City of Lights.